What is AWeber, you ask? We’re built for time-strapped content creators, small business owners, and entrepreneurs. 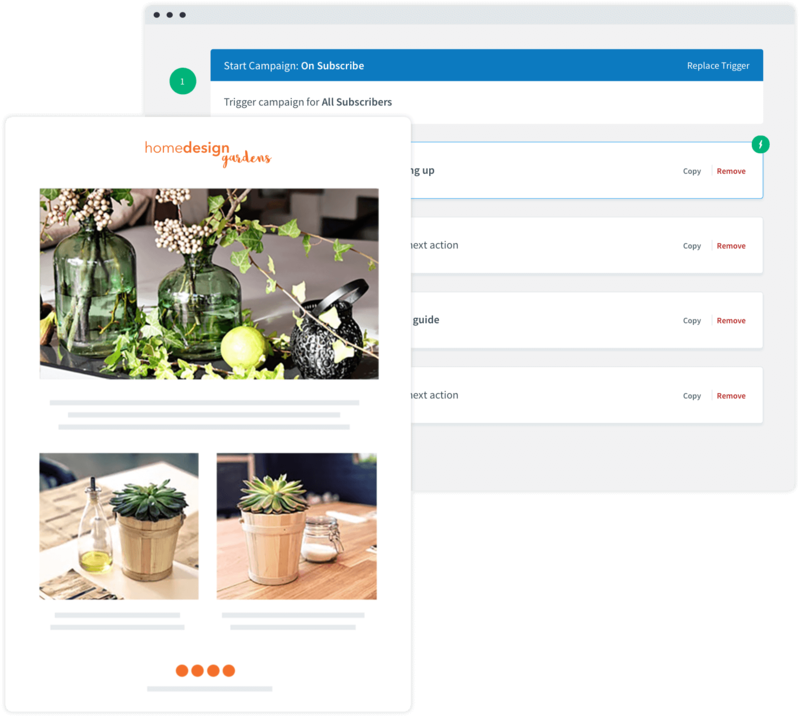 You’ll get access to easy-to-use automation tools to launch automated email sequences, tag and segment subscribers based on their behavior, send remarkable one-time promotional emails or newsletters, and track your success. Offers live support by phone, in addition to chat and email. We believe a 4-minute phone conversation beats a 20-minute text chat all... day... long. Uses their own servers to send mail. We own our servers and IPs and constantly monitor and improve your email delivery rates. Provides you with educational resources like free beginner and advanced webinars, list-building courses, and high-converting email copy templates. When you succeed, we succeed. Has a ton of experience. AWeber has been supporting business owners and entrepreneurs since 1998. That’s right, we’re almost 20 years young! Might offer email support, but will leave you hanging when you need a solution right now! Don’t get stuck Googling for answers. Outsources the tech that actually sends your emails! If their third-party service goes down or has deliverability issues, your business will feel it. Has a few basic help articles, but many providers will charge you set-up fees, or encourage you to hire a “certified partner” or specialist just to get up and running. Is the new kid on the block. There’s nothing wrong with being new. But just like anything else with your business, it’s best to place your trust in partners with proven experience. Turn passive subscribers into loyal customers. Sending great emails provides value directly to your subscribers and moves them closer to buying your stuff or services. Free live support and coaching. Our customer solutions team is available by phone, chat and email. Just getting started? Hop on a live coaching session or join a weekly webinar. Save time, don’t waste it. 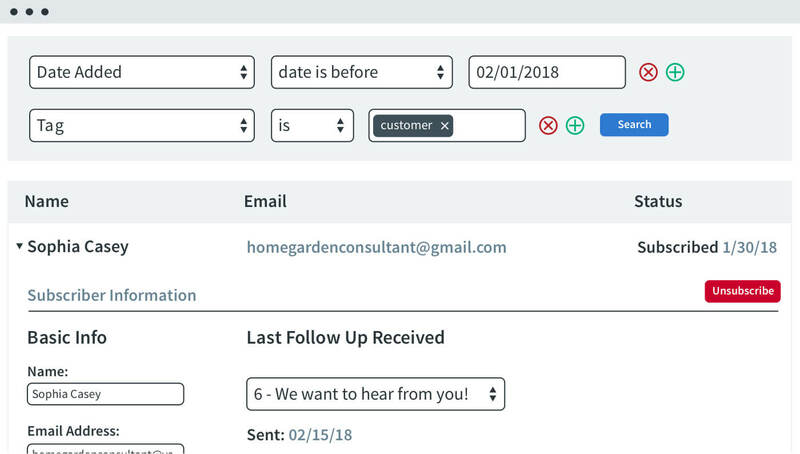 Our email automation platform has a drag-and-drop builder that’ll help you effortlessly automate your email sequences. No tinkering with complex builders. 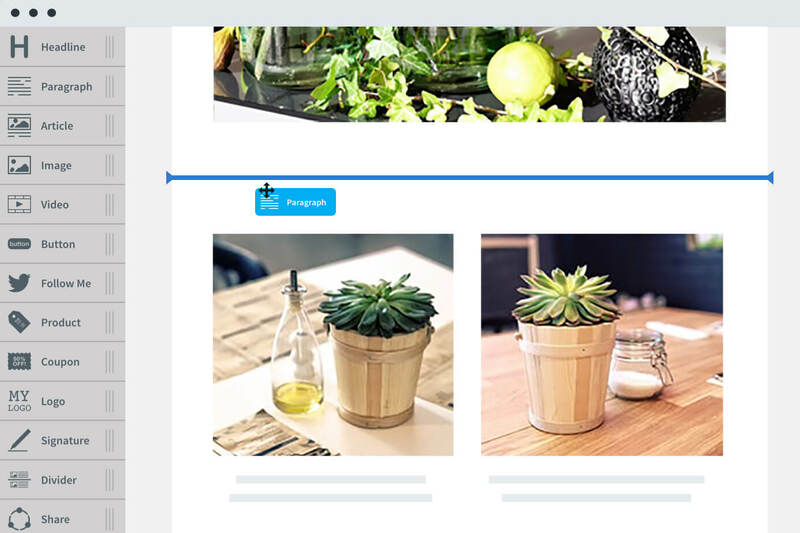 Click-based tagging and advanced segmentation. This is a future of email. 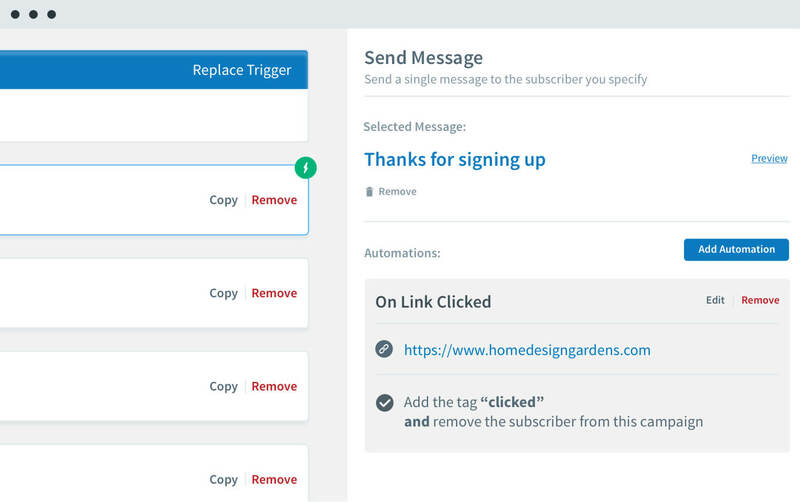 Tag subscribers and send targeted emails based on links they click and emails they open. Grow your list with ease. Adding subscribers is easy. 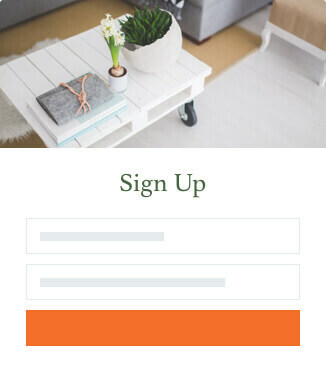 Simply create a webform using AWeber or connect your email list with one of our trusted integrations. Check out the metrics that matter most. 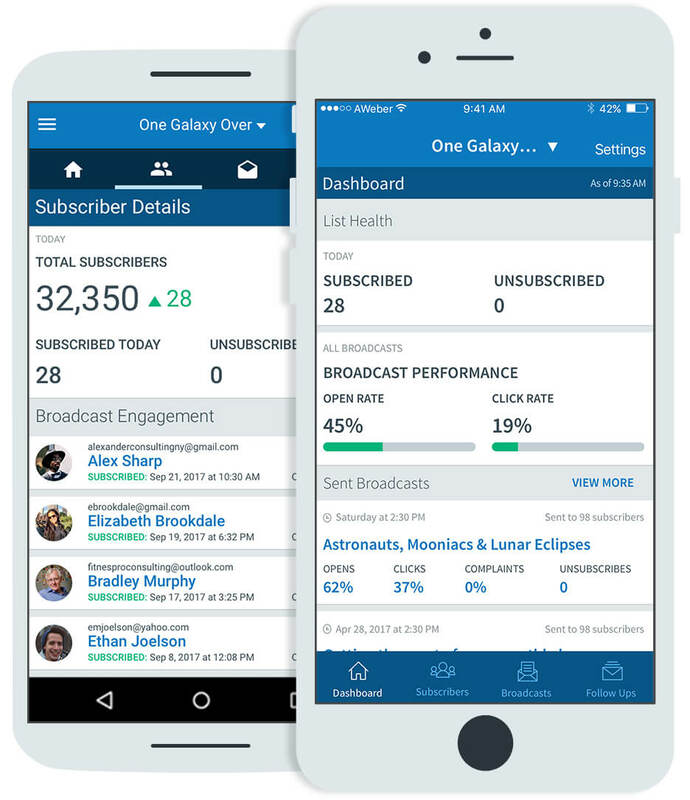 Measure your open and click rates, as well as individual subscriber stats. We even have a mobile app to track on the go. Copyright © 1998 AWeber Communications. Reproduction strictly prohibited. All rights reserved.